Fall in love with this fully renovated hotel on the outskirts of the city. All rooms feature Sweet Bed bedding and access to beIN Sports, while some afford views of Mont Blanc. The hotel is also conveniently located with direct access from the highway. 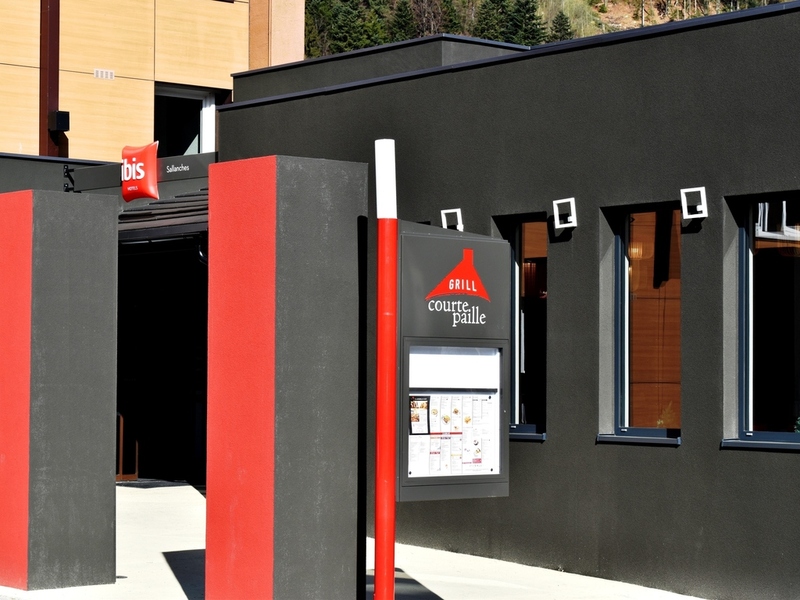 The ibis Sallanches hotel is close to the Mont Blanc ski resorts (Chamonix, Megève, Combloux and Saint-Gervais), near the Geneva exhibition center. The hotel offers 55 rooms with WIFI and air conditioning, including 3 adapted for guests with reduced mobility. A restaurant, bar, 24-hour snack service, terrace with panoramic views and car park can all be found at the hotel. A wealth of walking trails (the Mont Blanc massif and surrounding area) are just waiting to be explored. Winter sports resorts: Megève, Combloux, Chamonix and Saint-Gervais. Spring/summer: several hiking trails in and around the Mont-Blanc massif. The grilled meat specialist Courtepaille has offered a wide range of menus and dishes to suit all appetites and budgets since 1961.